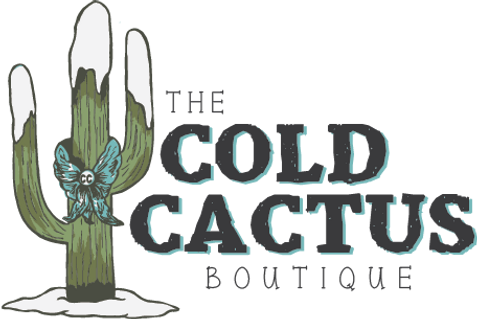 The Cold Cactus Boutique. I doubt you can come up with a more perfect name for a North of the border boutique that celebrates western, rural, and farming lifestyles by carrying fashions that allows individuals to express their western-inspired individuality. The Cold Cactus is in Ontario, Canada and yes, you guessed right, it does get a little cold up around those parts. A mother to two young boys, a rancher’s wife, and an active team penner and sorter, owner Tara Roberts talks life, inspiration, and some of the valuable lessons she’s learned about getting into the business of boutiques since launching Cold Cactus in Feb 2018. Roberts balances being a mother, wife, and equestrian, with being an influencer, entrepreneur and boss babe, all at the same time. As one of the few western-inspired boutique owners in Ontario, Tara Roberts of Cold Cactus Boutique is certainly worthy of the title – “Influencer and Boss Babe”. Her passion for authenticity on social media, passing on her own lessons from life and business and for supporting and collaborating with other makers, brands and influencers, are just a few of the many reasons that she’s standing out and shining as a boutique owner in Canada. Western Twist Media (WTM) is the creative outlet of professional writer and influencer, Louisa Murch-White. Murch-White is a published journalist, with work appearing in Western Horse Review, Quarter Horse News and features in Cowgirl Magazine and Cutting Horse Central. Personally, she is an avid and enthusiastic member of the performance horse world, and loves nothing more than showing cutting horses. WTM is driven by a passion for the performance horse industry. WTM specializes in assisting brands and companies tell their own stories through impactful marketing and advertising, social media management and freelance writing services. Our popular site also features unique and collaborative advertising opportunities.